As a vibrant community center, we strive to ensure everyone feels welcomed here. 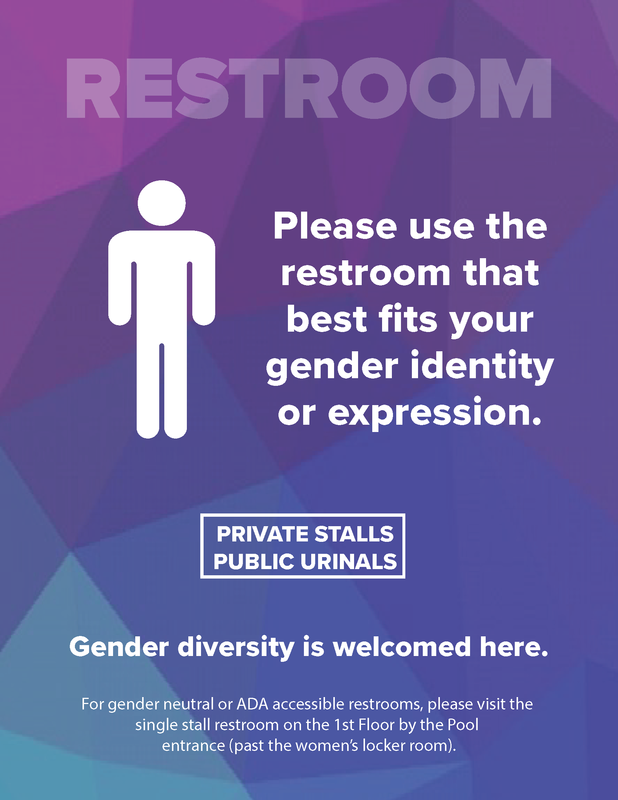 That’s why as an organization we’ve updated our facility with Gender Inclusivity signage on all bathrooms in accordance with the New York City Human Rights Law, which was amended in 2002 to include the protections for gender identity and expression. Simple — just use the restroom that best fits your gender identity or expression. 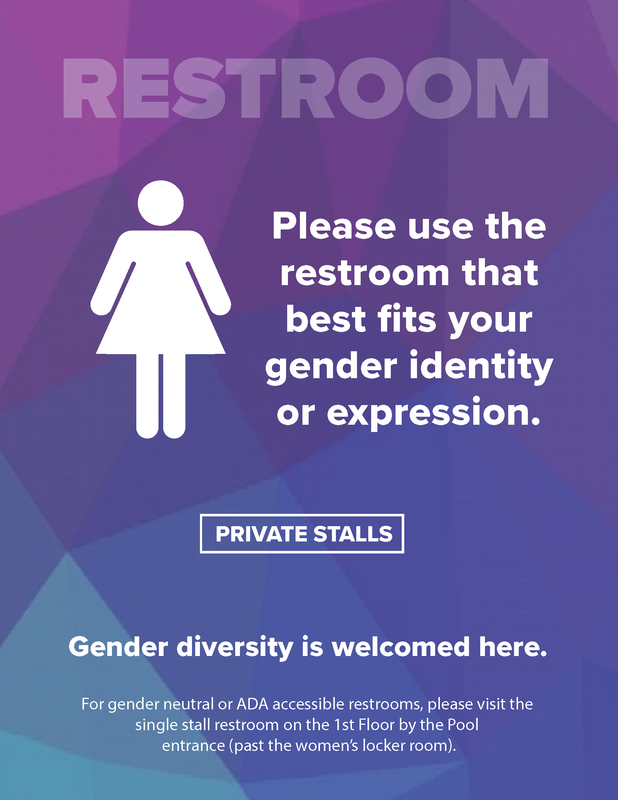 We want everyone to be comfortable using the restroom they identify with. For those community members who would like their privacy, we have a single stall restroom located by the pool on the first floor. Please join us as we work together to ensure the rights of ALL people by creating a safe space where everyone feels welcomed and respected. If you have any questions or concerns, please email info@14streety.org.